Trip #4 – WEST FORK WHITEROCKS TRAILHEAD – Queant, Cleveland Lakes, Fox/Queant Pass, Crescent, Fox, Brook Lakes, North Pole Pass, Taylor Lakes. 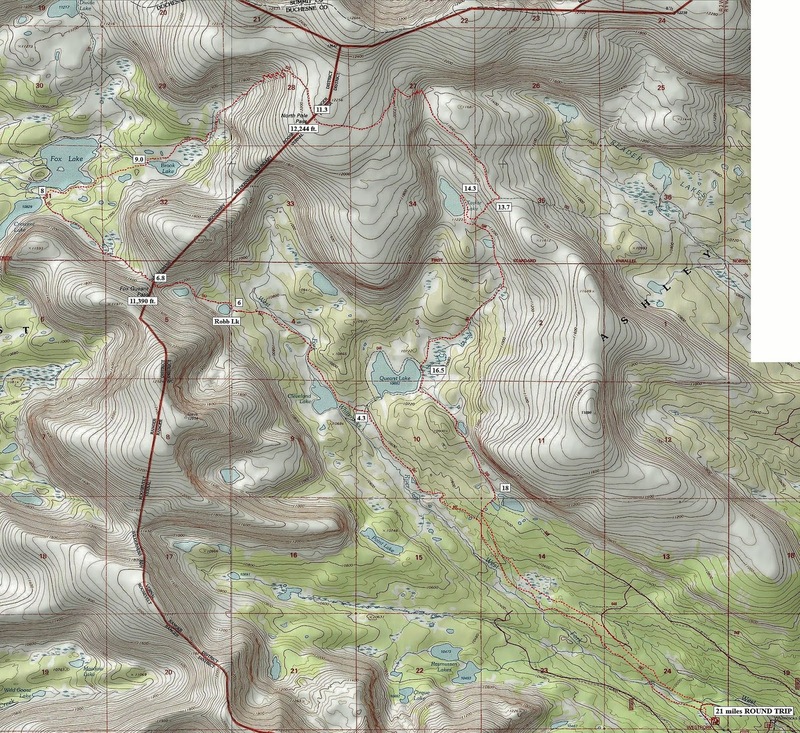 7 lakes, 21 miles, 4 days, Topo Map and elevation profile. The Whiterocks Drainage is on the southeast side of the Uinta Mountain Range and is out of the Wilderness area. This backpack leads to the Fox-Queant Pass which is on the boundary of the Wilderness Area. From there we swing through the upper reaches of the Uinta River drainage, then up to North Pole Pass which is just outside of the Wilderness, but is so close I have included it in the Wilderness Area’s 22 passes. These are two of the remaining ones I haven’t scaled. Previous PostPrevious Trip #4–NEVER GIVE UP–FIND THE HOWE FEEDER FLUME!